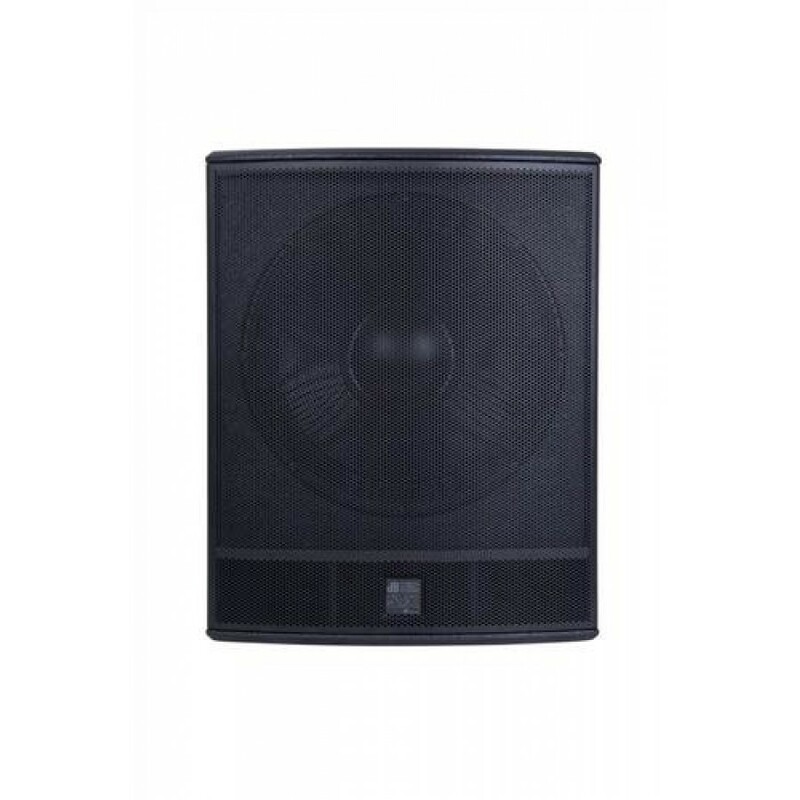 The DVX PSW18 is a powerful 18” high-performance passive subwoofer in a bass reflex plywood cabinet, designed for medium to large sized rooms. Thanks to its 18” high-quality woofer, the impulse response is incredibly truthful, reproducing low-end frequencies with extreme precision and providing a finely shaped sound image. Compact dimensions combined with light weight and sturdy construction of this subwoofer, make it a good choice whenever you need to boost low-end frequencies without losing the advantages of portability. 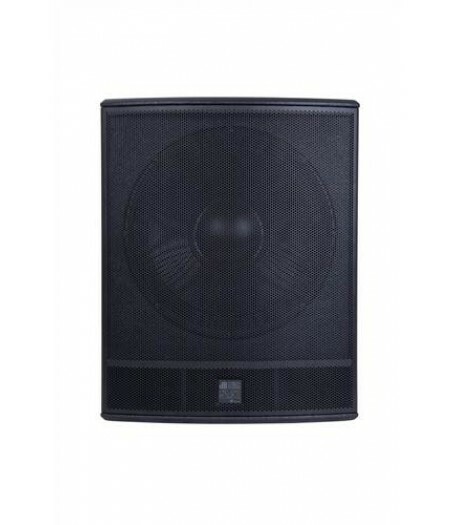 The DVX PSW18 offers a 18" woofer with a 4" voice coil, which can take a load up to 2000 watts putting out an extraordinary SPL of 134dB at very powerful low end frequencies. It features 2 handles on each side for easy transport, a standard M20 pole mount plate, the predisposition for wheels on the bottom and recesses on the top to facilitate the stacking of 2-way loudspeakers or another subwoofer. It can be easily combined with DVX P12 and DVX P15 high/mid units by using an external crossover like dBTechnologies AC26N. In both standalone and dual stack configurations, it is an excellent choice for FOH applications. What's more, its powerful punch makes this subwoofer the right choice for drum fills.